Rep. Ilhan Omar Apologizes To Jewish Americans, Thanks Colleagues For Educating Her On "Anti-Semitic Tropes"
Update: Rep. Ilhan Omar (D-MN) has apologized over Twitter, saying in a statement that she is "grateful for Jewish allies and colleagues who are educating me on the painful history of anti-Semitic tropes," and that her intention "is never to offend my constituents or Jewish Americans as a whole." She added, however, that she reaffirms "the problematic role of lobbyists in our politics, whether it be AIPAC, the NRA or the fossil fuel industry." Omar suggested in a Sunday night tweet that America's support of Israel is due to donations by pro-Israel groups such as AIPAC, after an earlier tweet responding to journalist Glenn Greenwald was interpreted as anti-Semitic. Greenwald had slammed the GOP's condemnation of Ilhan for embracing the "Boycott, Divestment and Sanctions" (BDS) movement, which claims Israel has "obligations under international law" to withdraw from occupied territories, remove the barrier in the West Bank, recognize Arab-Palestinian citizens of Israel as equals, and advocates sanctioning Israel until this is achieved. In response, Ilhan tweeted: "It's all about the Benjamins baby." This set off a firestorm of debate over the first amendment and hate speech; first - whether Omar invoked the "anti-Semitic trope" of "Jews & Money" as Rep. Jerry Nadler (D-NY) claims, and second, whether it is inherently anti-Semitic to claim that Israeli money in US politics has influenced US policy towards Israel, as opposed to a fundamental belief Israel has a "right to exist" and should be protected from its enemies. Largely absent from the current discussion has been an actual debate over BDS and Israeli foreign policy. Rep. Omar's defenders have insisted that she should be free to criticize Israel. Planned Parenthood, teachers' unions, and law enforcement associations are examples of other interest groups who use financial contributions to exert influence over political candidates and public policy. See? Not hard to acknowledge these things. The tweet was a reference to the influence that "pro-Israel" donors have on American policy. Why do you think they spend huge sums of money on campaign contributions and lobbying initiatives? Just for the hell of it? Calling her tweet "anti-semitic" is projection. 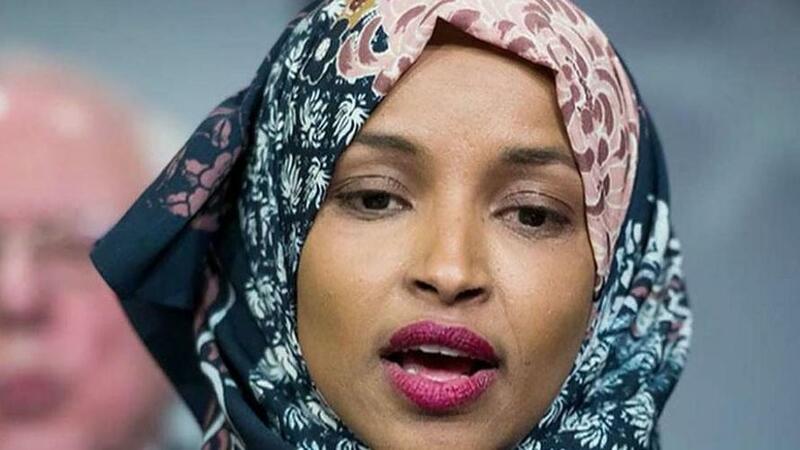 Omar's detractors such as Nadler and others have warned her to "be extremely careful not to tread into the waters of anti-Semitism or any other form of prejudice or hate." Gottheimer and Luria implored Congressional Democrats to " join us in calling on each member of our Caucus to unite against anti- Semitism and hateful tropes and stereotypes," adding "In recent weeks, we have had conversations with multiple members of our Caucus who share our concerns about this rhetoric; we have also raised these concerns with Democratic leadership." "We must speak out when any Member – Democrat or Republican – uses harmful tropes and stereotypes, levels accusations of dual loyalty, or makes reckless statements like those yesterday," they added. Politico's Jake Sherman weighed in, only to be promptly owned by his own pen. Others, such as the Washington Post's Dave Weigel, notes that Omar has undermined her own cause with "glib tweets."